Despite the difficulties faced by both Lewis Hamilton and Jenson Button in Formula 1, this year has proved to be relatively productive one for Brits in motorsport. Adrian Newey’s Red Bull cars are beginning to sweep all aside as the F1 season draws to a close, Jack Harvey claimed the British F3 International Series following a titanic final weekend at Donington and Rob Huff is closing in on his first WTCC crown with Chevrolet. Over in the US, Dario Franchitti claimed his third Indianapolis 500 crown, while Jack Hawksworth destroyed the Star Mazda field with ease. James Calado showed plenty of skill and metal in GP2; however series rival Max Chilton is looking more likely to be promoted to a seat with the Marussia F1 team in 2013, potentially making it four Britons on the grid. However, they were not the only ones enjoying success in the wider world of motorsports in 2012. Enter stage left Pembury born racer Adrian Quaife-Hobbs. The 21-year-old claimed the Auto GP World Series this year with a round to spare. A former T Cars champion and BRDC Rising Star Award holder, Quaife-Hobbs rose through the ranks of single-seater racing with stints in Formula BMW, various Formula Renault categories and Formula 3, before embarking on two-year GP3 Series campaign from 2010. In GP3, Quaife-Hobbs – then driving for Manor – took one victory, two podiums and two poles to eventually finish 5th in the 2011 championship season. It was enough to garner a test with the Virgin Racing Formula 1 team (now Marussia F1). 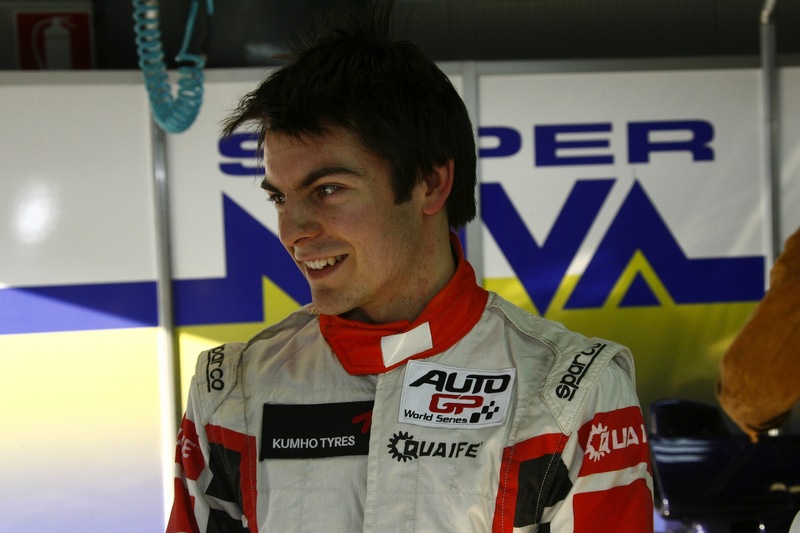 Yet rather than make the immediate move to GP2, Quaife-Hobbs joined the Auto GP World Series for 2012, racing with David Sears well-known Super Nova International squad. After winning on his first outing, Quaife-Hobbs rarely let go of the reigns and scored a further four victories and five podiums during the fourteen race campaign. The Pembury-man was so far ahead of the pack, he had even wrapped up the series with four races to spare. With that now firmly behind him, Quaife-Hobbs will be hoping to follow in the footsteps of 2010 Auto GP champion Romain Grosjean, who followed his Auto GP stint with ultimate success in GP2. Quaife-Hobbs finally made his debut in GP2 machinery this week, thanks to a two-day test at the Circuit de Catalunya, just outside Barcelona with the Barwa Addax team. Despite some rain-affected running, Quaife-Hobbs ended day one in 7th spot, before elevating himself to 2nd come the end of the second day. Just prior to the test this week, I was able to get a few brief words from Auto GP’s latest success. The Motorsport Archive: First things first. Congratulations upon winning the 2012 Auto GP World Series. Could you describe your feelings of both the season and the resultant success now that it has had time to sink in? Adrian Quaife-Hobbs: “It was a fantastic first season in senior international racing and to be so competitive and dominant gives me the confidence and belief that is required to try to take that last step into the world of Formula One. 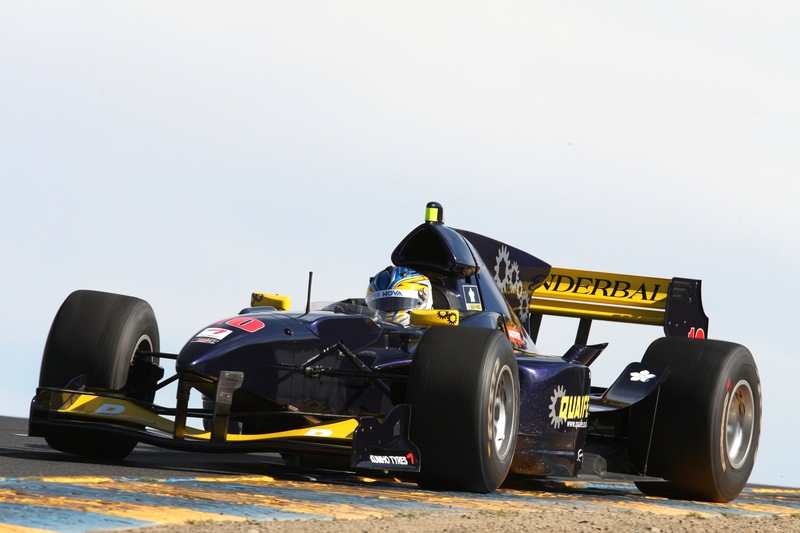 TMA: Auto GP is something of a step up in power compared to GP3. Have you developed a method that helps you adapt to new and bigger categories? AQH: “I don’t believe there is a method and formula to this; I think that when you step from a power band of 280 BHP to 550 BHP it is something you can deal with very quickly if the natural talent is there. TMA: You now have, effectively one senior world championship season behind you. What would you say is different about the Adrian Quaife-Hobbs of today, compared to the Adrian Quaife-Hobbs of twelve months ago? AQH: “All racing drivers need to have a lot of self-belief but I think this season with this much power and in a senior international series has developed my maturity and confidence in dealing with both the team and all the technical aspects, particularly in the pit stops and tyre usage over the course of a race weekend. TMA: What opportunities, if any, are you looking at for 2013? AQH: “At this time we are planning to test in GP2 with two of the top teams in the championship, [Barwa] Addax at Barcelona this week and then with Arden at Jerez with the view to try to do a full season in 2013. TMA: Finally, if there was one moment from the 2012 season that you wanted to use in a highlights reel, what would it be and why? AQH: “Portimao in Portugal. When we left England for the race weekend I had had a very good race meeting at the previous race weekend in Budapest and I set myself the goal of trying to win both races in Portugal. I then set quickest time in free practice, qualified on pole which then led on to winning both races including the second race where I had to start from the fourth row reverse grid. Excellent stuff indeed. My thanks to Cathy Metcalf at MPR Associates for arranging this Q&A and to Adrian for kindly providing his time. To find more information on Adrian, go visit his website at www.quaifehobbs.com.